Kick off your shoes, Ms. Patti is coming to GHOE. The annual North Carolina Agricultural and Technical State University Aggie Alumni Homecoming Concert has a new host and this year, “a new attitude.” On Oct. 6, 2017, the N.C. A&T Office of Alumni Relations and Alumni Association hosted concert, “We’ve Got a New Attitude,” stars Patti LaBelle with special guest Mike Phillips. Previously sponsored by the North Carolina A&T Real Estate Foundation, the concert is a huge draw for alumni and friends of all ages. The buffet reception begins at 7:45 p.m. and show time is 8:30 p.m., at the Koury Convention Center. 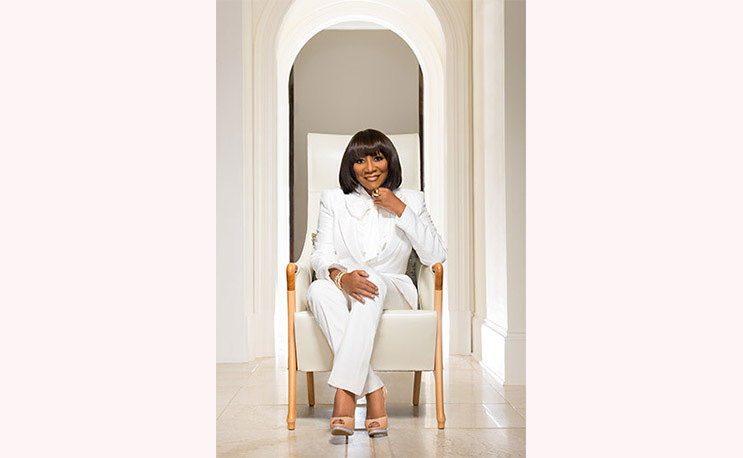 LaBelle began her career in the 1960s as the lead singer of the band “Patti LaBelle and the Bluebelles,” eventually changing names to Labelle and recording the hit disco song, “Lady Marmalade.” Years later, Patti launched a solo career, producing great hits such as, “You Are My Friend,” “If Only You Knew,” “New Attitude” and the No. 1 single, “On My Own,” a duet with Michael McDonald. LaBelle’s music career spans 50 years, includes more than 50 million records sold and multiple awards including induction into the Grammy, Apollo Theater and Songwriter’s halls of fame and the Hollywood Walk of Fame. In addition, she is a noted actress, author, entrepreneur and humanitarian. Famed saxophonist Mike Phillips, known for his eclectic mix of smooth jazz with a bit of hip-hop flavor, is set to open the concert. His recordings, “You have Reached Mike Phillips,” Uncommon Denominator” and “MP3” have placed in the top 10 on Billboard Jazz. Among his many television, festival and even presidential inaugural ball performances, Phillips counts television host, musical director and brand ambassador among his many accolades. Phillips is the only musician with the distinction of having recorded and toured with Stevie Wonder, Michael Jackson and Prince. N.C. A&T’s week-long homecoming celebration begins Sunday, Oct. 1 and continues through Sunday, Oct. 8.